When I first began reading about homeschooling, while my daughter was an infant, there were two books in particular that intrigued me, one was the first edition of The Well-Tained Mind: A Guide to Classical Education at Home by Jessie Wise and Susan Wise Bauer and the other was Teaching the Trivium: Christian Homeschooling in a Classical Style by Harvey Bluedorn and Laurie Bluedorn. The Well-Tained Mind, being the first one I read, excited me about how the traditional trivium stages of grammar, dialectic (or logic), and rhetoric are used all our lives in all our learning, not just homeschooling. Yet in Teaching the Trivium, the trivium was referred to as knowledge, understanding, and wisdom as found predominately in Proverbs. When we first learn anything whether it be while reading a book, learning a new task, or training for a new job, we first are given knowledge: information, data, things we must be able to routinely recall and perform without much thought. This is the grammar stage. When we are very young most of the new stuff we learned through rote. Children learn to recite nursery rhymes, sing songs, memorize math facts, and do repetitive simple tasks. When we are adults, many of those things do not take much to recall, they are just with us, but we will not recall some facts if we have not routinely used them; for instance, I can remember my passwords that I use presently but do not remember my high school locker combination that I used to use daily. The knowledge stage does not end in the grammar years; we still learn songs, read books, and learn new tasks as needed. I am taking this out of context, which I normally do not do, but bear with me: in Hosea 4:6, God is saying that His people are destroyed for lack of knowledge. Knowledge is the foundation of understanding and wisdom. You cannot grow in understanding without first learning knowledge. Understanding is in the logic stage, when we take the information learned and begin to understand its purpose. Teaching a child phonics can just be a game, but if the child desires to read as much as my Princess did at the age of three, then the student realizes the purpose of decoding words is so eventually she will be able to read book on her own. This stage is very evident around the tweens, when a child is told to do something, he begins to challenge the instruction as to why it needs to be done or even if it does...or if it must be done him. The rhetoric stage is when we are supposed to grow in wisdom of how we apply and communicate our accumulation of knowledge and understanding. Some wisdom comes from trial and error, but I have come to the conclusion recently that it should not be assumed that one's experience will make him wiser. We decide to avoid walking on a broken step on the stairway we walk every day because through experience we know it is broken and through understanding we know that walking on that step could cause injury. Now, some might find it wise to avoid the step, but did we actually use wisdom to make that decision? I do not think so and it may be wiser to fix the step so for the safety of all, but really that is just a logical conclusion when considering the problem of what to do with the broken, dangerous step. To further understand the difference between wisdom and experience, animals do not have the capacity to be wise but they will learn from experience (knowledge gained from repetition and some measure of understanding reward and punishment), which is why many types of animals are trainable to some degree. I had a German Shepherd, who was particularly protective of our/his property. He was perimeter trained, but when he was still young, he would break his perimeter to chase away any dog that came near our property. Eventually, all of the dogs that walked freely in our neighborhood from time to time would make a very wide berth to avoid our property, some would not even look our way, even though Sasha was not out. On a funny note, Sasha was not allowed to pester cats so our neighbors' cats would come to sit out on our front lawn and watch the dogs avoid the yard. The point here is not that how we trained Sasha but how the other dogs learned from repeatedly experiences to avoid our property and the cats learned also that they would be safe in our yard from the very same dogs that treed them whenever they were anywhere else in the neighborhood. These animals seemed to make wise choices, but their actions really were not the results of using wisdom. It had been very difficult for me to accept that a greying head does not mean a wiser brain. When I was young I was taught not only to just respect my elders but to expect them to have wisdom. My maternal grandfather was very wise, but my mother never really was, even when her hair was completely white. Oh, throughout my life, she did say a few wise and profound things at times, but that was from rote, because she was repeating what she heard many times from her father. My mother often lacked in greater understanding as well and without logical thinking there is not a solid foundation for wisdom. So, I have come to the understanding, the logical conclusion, that people, like dogs and cats, may gain more experience as one ages, but not necessarily be wise. 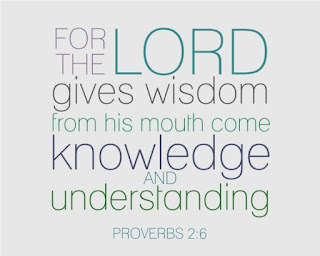 Wisdom is built on knowledge and understanding, yet it is has a spiritual nature because it is given from God, so it is not necessarily the result of having knowledge and understanding. 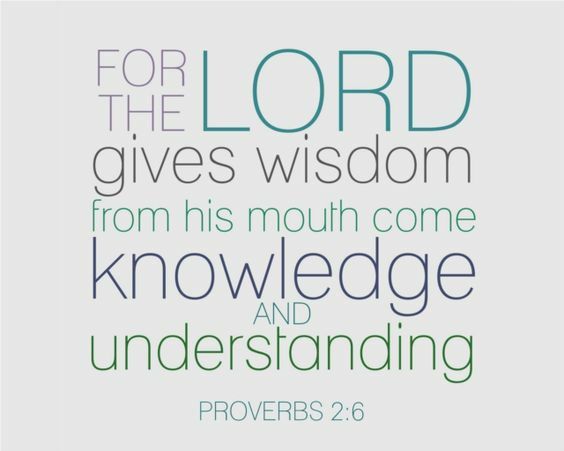 Through God's given wisdom one can have the ability to know and understand without having full knowledge. Wisdom recognizes what is not yet known and desires to learn it when there is need to do so. Knowing without knowledge is like not knowing a person, yet knowing what that person is likely to do...or how to guide that person to reveal the things he tries to hide in his heart that is obvious to the wise. Think about King Solomon when presented with two women claiming the same baby. He had only the knowledge that both claimed the child and the understanding that one only could be the child's mother, while the other was lying. He did not know the women or which one was likely to lie, so he presented the two women with the same impossible choice: the baby will be cut into two or one will give up her claim to allow the baby to live. Both women revealed what was in their hearts with this horrible choice, but only the real mother decided she was willing to give up her child so that he would live. Many people go with their feelings, which is often based on the result of experiences, desires, and fears, as animals can do. For one to use wisdom, he must be able to do what an animal cannot do and place himself aside to have the perspective of an objective outsider. Please understand, though, that even the wisest of all men fails to do this all the time because he cannot always think as an objective outsider when it is his own life. Again, thinking of Solomon, I shake my head as to why he had so many wives, with some being idol worshipers. In this aspect of his life he certainly was not using wisdom. Another aspect of true wisdom is having the ability to understand people where they are and effectively guide them to accept knowledge they presently lack in order for them to understand a different perspective, which is not based on their own experience and may actually be in opposition to their conclusions or feelings, while accepting that they will probably think it is their own idea. (Actually, they have to own it as one of their experiences or else it will not make a lasting impact.) God does this every day because we can be so very stubborn, especially when we think we are right. Now, some Christians have much pride of their knowledge of the Bible and have the propensity to throw scriptures at others. They are much like my mother, repeating rote where they think it may apply due to their own experience, sometimes with understanding and sometimes without so sometimes it was applicable to the situation and sometimes not. Their understanding is limited to what the scriptures mean to them and how they mean for them to be applied, frequently out of context. Yet, they are confident that they are only saying what is right because they are using scripture from God's Holy Bible, His Holy Words! I remember trying to encourage one man to soften his tone as he would use scripture to beat down pagans on a local message board. He was not saying anything wrong, but it was in how he was saying it that made it not right. He was so confident in his rightness that he lost sight of God's Spirit of righteousness. His purpose was right as he wanted to right their hearts and bring them to God, but in doing so, he portrayed God as angry and hateful to these people, so his use of what is always right was terribly done wrong. Rightness is not wisdom and it is not always wise to try to prove one's rightness either. A recent exchange reminded me of this. I had been praying for a friend of mine, who had been vexed by the anger Christians seem to have on social media, which I have avoided. I wondered how bad it could be and then God gave me an opportunity to experience a taste of it. The person was so convinced of her rightness that she was not willing accept knowledge or have understanding, she only wanted to prove she was right. Even though I knew it was the wiser choice to say nothing, there are times the wisest choice is to be a fool for God. I felt the Lord asking me to confront her gently. I did and so much of that pent up anger that she holds so closely in her heart came at me. I did not take it personally and there were many flaws in her argument that I could have debated, but God wanted me to stay focused on His purpose, to expose her anger, and not look at what was trivial. Then as abruptly as it began, I was to end it. She felt the victor, but she missed the message God had for her and I feel so sad for her, but I realized that God wanted me to also see how bad this anger is among His children and why. She is symbolic of a particular kind of Christian: the ones who have replaced the Holy Spirit with the Holy Bible. The ones caught up in legalism and their own feelings without an ear to hear God talking to them. 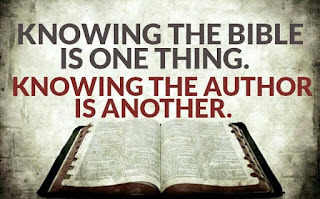 Please do not think that I am against anyone using the Bible to gain knowledge about God. 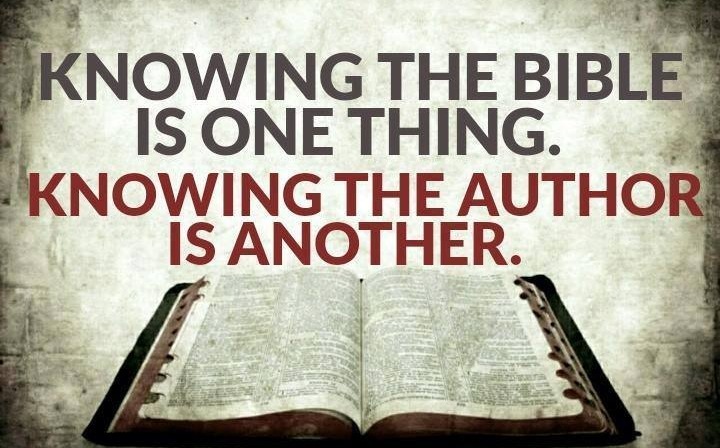 There is absolutely NOTHING wrong with the Bible, but how it used...that is completely different. What I am concerned about is people getting stuck there in the knowledge about God and having too much pride in their ability to recite Bible verses at other people, believers as well as unbelievers. This just reminds me too much of the scribes and Pharisees. I mean, Jesus, the Son of God, was right there in front of them in the flesh and they were so out of touch with God they did not recognize Jesus, yet they definitely knew all of God's laws, they knew His words up to that time, at least. If I had to choose between having a Bible and conversing with God, I would choose the latter. It is just not wise to think God stop talking to His children and through His children when so few of His Words were actually written and copied over the centuries. My Lord, may we always seek Your heart and help those stuck in their spiritual growth to see there is so much more. Ganeida, this post accidentally got published while it was still in the works, so you might have to take another look.